Packaging Dimension (WxLxH) 23x22.5x5 cm. 36 stackable giant pegs in 6 briht colors, 3 shapes, with 21cm square base board and 3 laces. 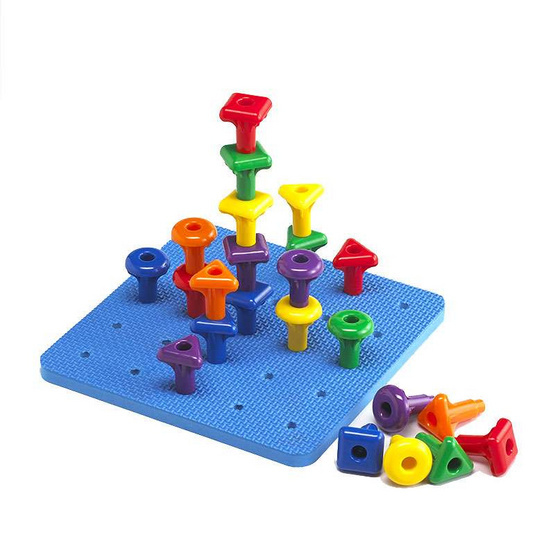 Ideal for developing fine motor skills, counting, sorting and patterning. Pegs are witth hole through the boottom, can be also used for lacing activities.